We have created our own registered 501c3 charity called the Children of God Orphanage, which promotes the interests of people who live in Sierra Leone. With the direct assistance from our staff and by volunteers who live in Sierra Leone the Children of God Orphanage was created to support orphans in their fight for survival. 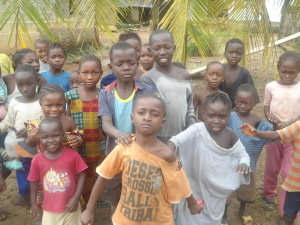 Our aim is to provide innocent children who are victims of poverty and the Ebola crisis with opportunities to succeed. These opportunities will enable the children to unlock their potential, both physically and mentally. Our team members possess a broad base of experience with a variety of orphanages, schools, churches and other institutions throughout Sierra Leone. Currently, the prime focus is to support the fight against the Ebola outbreak among orphans in Sierra Leone. Such orphans have either lost their parents due to the disease; no/or poor food and water, poor health, or parents and families simply could not financially care for their child. In the non-Ebola related cases, we often have no idea where the parents are or who left the child. Supporting orphans in Sierra Leone is our primary objective and your donations go directly to the children and their care. We maintain strict corporate governance and an open door policy welcoming visitors daily. Our web site serves as a transparent window to your generosity and to the lives you are touching. Our projects are financed as a result of successful fundraisers and generous contributions. Volunteers donate their work and time free of charge in support of our awareness raising team. Our success as an Organization is proven through our core projects: Water Sanitation, Health Care, School Funding and Food and Shelter.